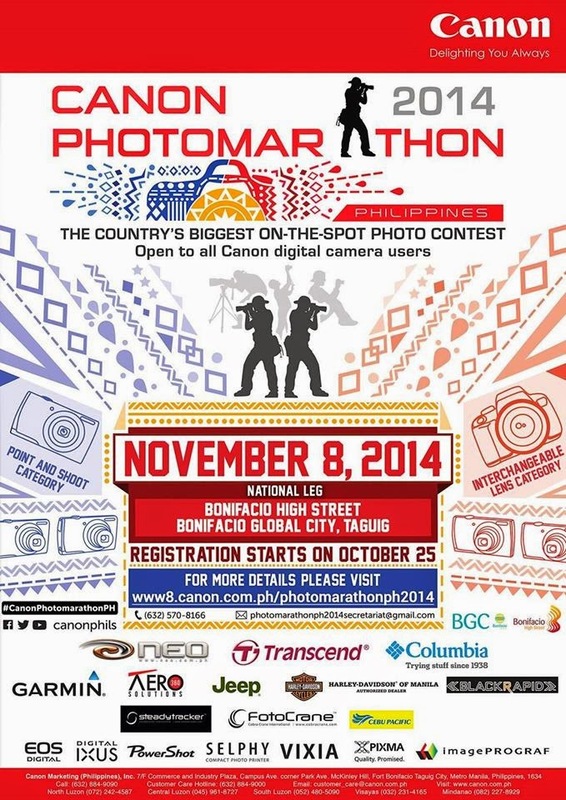 Canon Photomarathon 2014 is now open for registration. It is a one of a kind on-the-spot Photo contest that challenges the skills and creativity of photographers in creating themed inspired photographic images under time pressure. Participants get to compete with other amateur photographers, hobbyist, enthusiasts, and professional photographers under strict contest rules and deadlines. The images captured are subject to a panel of judges' evaluation. The thematic creative instincts and the ability to work under tight timeline pressures will be thoroughly tested in this exciting and unique competition. 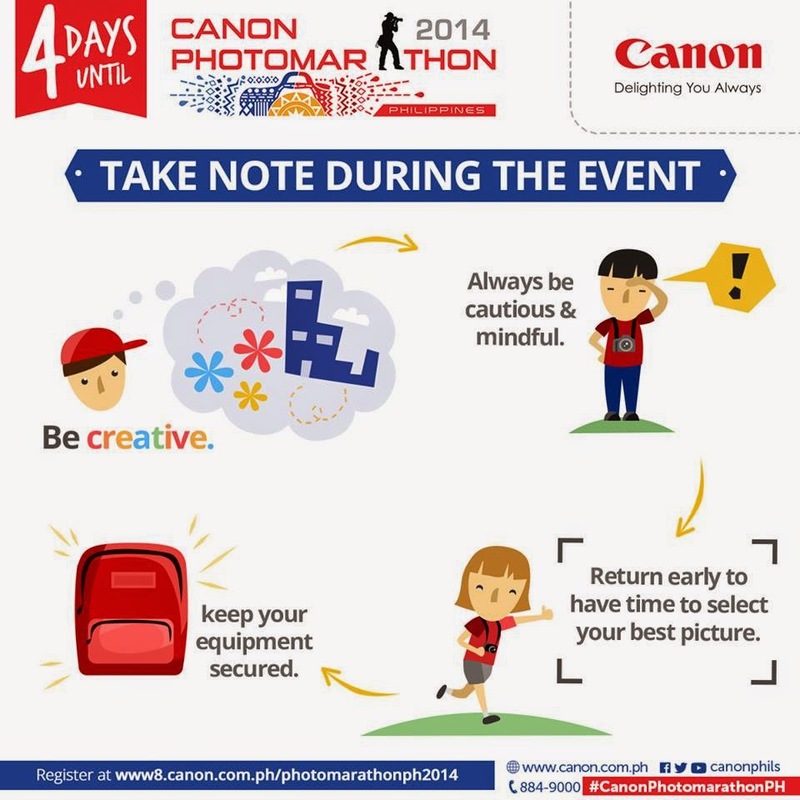 This is open to all Canon users (both DSLR and point & shoot cameras). The national leg for this year will be held at Bonifacio Global City (BGC) High Street in Taguig City on November 8, 2014. Registration started last October 25. Register here. Check out the full mechanics/ guidelines here.